One of the biggest cattle finishers in Scotland has become the latest farmer to hit out at the use of distillery byproducts in renewable energy plants. 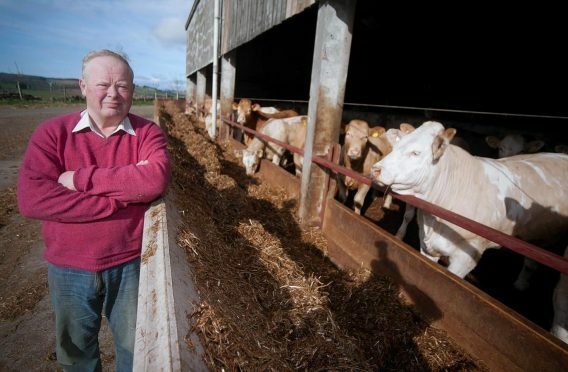 Bruce Walker, who finishes 1,200 cattle every year at Newton of Lewesk Farm, near Insch, said distillery byproducts for use as an animal feed were becoming expensive and increasingly difficult to source. Mr Walker spends £60,000 a year on pot ale – a distillery byproduct rich in protein – to feed his cattle. He said prices have risen by £20 a tonne in the past year and many farmers in the north and north-east were now struggling to source byproducts despite distilleries being on their doorsteps. “It’s been a long standing tradition of the farmers here to use byproducts from the distilleries,” said Mr Walker. He said distillery byproducts, such as pot ale and draff, were a vital source of protein for livestock farmers. “I think the government needs to intervene. I don’t think the AD plants should be taking as much [distillery byproduct] away as they are,” added Mr Walker. His plea follows calls from Glenlivet farmer Alastair Nairn for government intervention on the issue. Mr Nairn, who is environment spokesman for the Scottish Tenant Farmers’ Association, has warned food security could be put at risk as a result of a rise in the number of AD plants. He has not only hit out at the use of distillery byproducts in the renewables plants but also the use of prime arable ground to grow these crops. Data from the Anaerobic Digestion and Bioresources Association (ADBA) reveals seven of the 49 AD plants currently operational in Scotland are fed with distillery byproducts. A further five are in the pipeline. A Scottish Government spokeswoman said: “The Scottish Government recognises the important role of distillery by-products such as draff and pot ale as a high-quality livestock feed. Through our Energy Strategy and bioenergy action plan we will balance feedstock uses with the benefits from their potential uses in renewable energy.